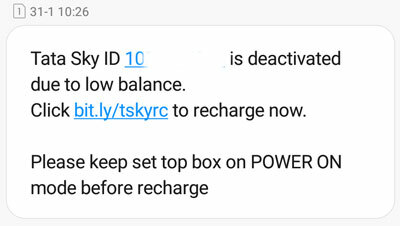 Today I received an SMS from Tata Sky, that my services had been deactivated due to low balance. Just as well, since I haven’t used Tata Sky since 13th of this month. Yet, my family is watching all the TV shows they had been watching earlier and a lot more movies! What is even more interesting is that instead of paying Rs. 3,420 each year for the basic pack without any HD content, I am now streaming HD content and live TV for just Rs. 240 a year! I don’t have a have Smart or for that matter, even an expensive TV. I have a basic 32” LCD from Toshiba, which I bought from Flipkart for Rs. 17,460 in August 2012. So in order to stream movies and TV directly to TV, without the need to keep it connected to computer or laptop. I bought a Google Chromecast 2.0 device earlier this month. 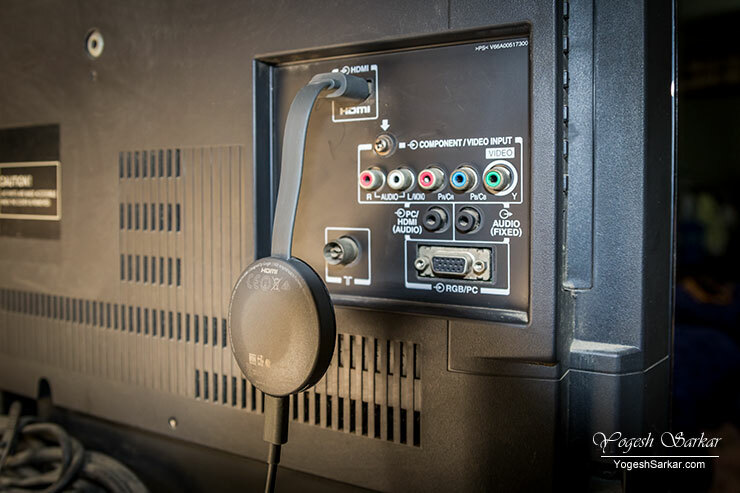 Google Chromecast is a small device which plugs into the HDMI port of your TV, while it’s AC adapter (same as a mobile phone charger) plugs into the power socket. Using Google Home App, you have to set it up to use your Wi-Fi network. This is a fairly simple and straightforward process, and you don’t even have to enter your Wi-Fi password, since it picks that up from your phone. Once Google Chromecast is connected to your Wi-Fi network, it can be controlled by just about any android or apple phone/tablet. You can even cast a tab from Google Chrome browser; this allows you to watch things like Amazon Prime, which can’t yet be directly cast from Prime Video App. I didn’t buy Chromecast for my usage, because I consume majority of my content on my desktop. Neither did I buy Chromecast to just watch YouTube videos. I bought it for my mom and sis and they needed Indian content to replace Tata Sky. This is where Hotstar and DittoTV come in. While Hotstar features content from the likes of Star Plus, Star World, Life OK, Channel V, Star Sport, National Geographic etc. it isn’t live TV and you have to pay for the latest episode (the one being telecast that day) and there are premium shows for which you have to buy a Premium Membership, which costs Rs. 199 a month and that includes live sports. 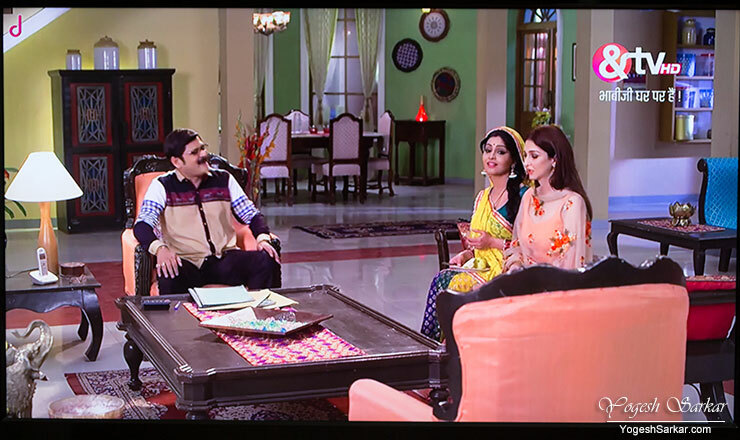 If you can make do with watching a day old episodes of Indian serials, it is completely free. This is what we do. There are also tons of free movies, both Hindi and English, and you don’t have to pay a single rupee to watch them and there aren’t any ads either. What we do pay for is DittoTV. Monthly membership is Rs. 20 a month and for that, you get access to 100 channels like Zee, Sony, SAB, &TV, Aaj Tak, Zee News, Cartoon Network, Ten Sports, BBC etc.. Both Hotstar and DittoTV have HD content, so you aren’t really watching content in poor quality. Apps for DittoTV and Hotstar can be downloaded on your phones and tablets. And once the show starts on your TV, you don’t have to keep the phone on or on that app, in order to watch the content. It will continue playing on its own, directly streaming via Google Chromecast. Streaming experience, be it with Hotstar, DittoTV, YouTube or Prime Video has been impeccable so far and we haven’t really felt the need to switch on Tata Sky even once! Of course you do end up consuming a lot of bandwidth if you’re streaming on a regular basis, however, I have an unlimited broadband connection (no FUP limits) that I anyways need for my work. So at least for me, it isn’t an additional cost. However, what has really impressed me the most about Google Chromecast is that it has just worked from day 1, without needing any fiddling whatsoever and without the need for being technology savvy to make it all work. And this is what matters at the end of the day. Why Twitter is losing dumb folks like me! Now pay more for Netflix, wait what? Microsoft Office for Android and iOS?